I would like to thank you & your team at D & D Real Estate for the great result we achieved in the sale of our unit in Elizabeth St Parramatta. We have received excellent service from your management of our property over the years & hold you in high regard as an ethical business man. In the future we will be looking at downsizing & will certainly contact you & the team. Regards, Ray & Lucia Paulley. D&D managed my investment property with honesty and efficiency until its successful sale 6 years later. D&D were always a pleasure to deal with – helpful and courteous, always mindful of my needs, and prompt in communicating matters that needed attention. Clerical efficiency made tax time a breeze. I recommend D&D both as managing agents and selling agents. ‘We have repeatedly conducted business with Mr Derbas. As purchasers of a number of development sites and as vendors when we engaged him as our agent for the sale of our developments, Mr Derbas has a thorough and practical knowledge in the sale of development sites. We have known Mr Derbas to be a competent project marketer. He is reliable and has always delivered as he promised. It is rare to find an agent with his characteristics is this day and age. 1. I needed to sell my property as quickly as possible. 2. I needed to sell my property for as much as possible. 3. This was the first time I had ever sold and was extremely nervous. Just a short note to let you know how much we have appreciated your professionalism and lightening speed with which you sold our property. ‘The sale was completed within a short time and D&D Real estate were always professional and friendly in their dealings with me and I believe with the buyer as well. I would recommended D&D Real Estate to any prospective sellers or buyers if they want results. 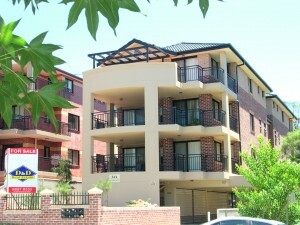 We wish to express our hearty thanks to you for selling our property at Thomas Street Parramatta. Your professionalism, dedicated efforts, excellent negotiation skills and high determination to achieve had enabled us to gain the best possible price for our property. This result is most impressive and we believe that it will be difficult for your other competitors to achieve comparatively. We have no doubt in referring any business to you in the future. Thank you again and we wish you all the very best in your business endeavors. 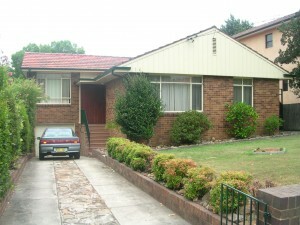 ‘I wish to express my sincere thanks for your efforts in the sale of our property at Tungarra Road Girraween. I valued your advice and always felt you were working for us to achieve the best result. You achieved our asking price and we are very pleased with the result. We appreciated your dedication in concluding the sale over the Christmas public holiday period and than you also for working with us until 1 am to finalize and sign the contracts prior to us going on our holiday. My sincere thanks for the wonderful service that you and your magnificent team provide at D & D Real Estate. Your are truly a superb group of professional real estate people. I think you are a CHAMPION among real estate men! You listened to my ideas, provided expert advice when requested, acted efficiently to negotiate deals, and most importantly, you achieved the desired results. A big thank you!! Congratulations on a job well done indeed. I appreciate all your dedicated work and the friendship shown along the way. ‘ Thank you for the professional manner in which you handled the sale of our unit. Working in a sales environment myself, it is possible to identify the genuine sales person, the one who matches the client with their “dream” in this case dream home ). My judgement proved correct in accepting you tender, which was not the cheapest to hand, when the unit sold at only $ 1 000 below the list price after one (1 ) week on the market. The price achieved being in line with my expectations, the purchaser having found her dream home. ‘I am pleased with the way in which Mr Derbas has handled the selling of my late mother’s Property at Good St Westmead ( Mrs B Tillman ). He has been able to bring my brother, myself & our neighbor Mrs Carter together in agreement so that both properties have been able to sell together, which I feel has been better for all concerned. I see him as a very capable, trustworthy person and would not hesitate in recommending him to anyone who had property to sell. We were all happy at the price he got for our properties. Just a short note to thank you and your dedicated staff at D&D Real Estate for the high degree of professionalism, and attention to detail, that you and your team have exhibited whilst managing my properties. I would have no hesitation in recommending you services to any landlord seeking sound management. ‘I have known Azzam Derbas, Managing Director of D&D real Estate, for just over six (6) years and in that time I have found his service to be of exceptional quality and dedication. He is truly an outstanding businessman and a person you can rely on for advice. I have to say, that if you want honest property advice then Azzam should be your No. 1 provider of this service. ‘As you are aware I have myself been in the “World of Real estate” and I must admit that in my years in and around buying and selling properties, I have not come across a person of such high integrity and desire to be fair and equitable to both parties at the same time. Your handling of a very difficult situation that could have caused much more trouble than it did, was in part, because of your excellent expertise and generous compassion to people. These qualities that I came to admire in you prompted this letter. Thank you again for all your help and I hope that all goes well with you. ‘We are writing you to offer our most sincere thanks to the team at D & D Real Estate and yourself; we came to you after some 6 months of looking for a property in the Parramatta area. We had some fairly unique requirements and you helped us to find the right property and secure it for a fair price. Azzam you made sure we properly informed and was always certain to provid accurate information, never did you or your team make forward looking statements or offer questionable advice. The team at D & D Real Estate is rightly proud to be independent and very professional. We wish you all the best and look forward to working with you again.